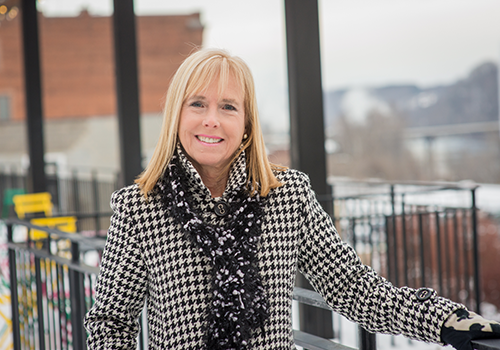 Marjette Upshur wants to encourage a nurturing environment for startups in Lynchburg. That may seem like a highly ambitious plan for any city, but Lynchburg is prepared to make its case. Pedigo, who has been hired to work with the economic development office, prepared “A Blueprint for Opportunity” for the city. The document, the product of a series of meetings of key stakeholders in Lynchburg’s future, announces it is “devised by and for the community it serves,” but it also benefits from Pedigo’s experience and analysis. The Hill City’s story includes having a higher percentage of residents with college degrees, 33.3 percent, than the national average. Maybe that’s because the five colleges in and around the city conferred more than 21,000 degrees last year. Lynchburg’s story also includes more than $50 million invested in public spaces and infrastructure downtown since 2002. The attention to downtown has resulted in the addition of more than 1,000 loft apartments and the creation of a series of walkways, stairs and terraces called the Bluff Walk. Two historic downtown buildings also have been revived. The Virginian Lynchburg hotel opened last year in a renovated building that was constructed in 1913. 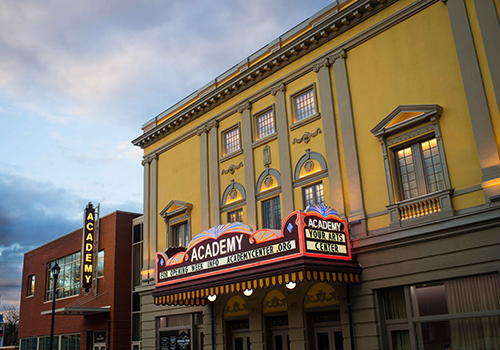 Likewise, the restored, 700-seat Academy of Music Theater reopened in December. Built in 1905 and rebuilt in 1912 after a fire, the theater had been closed since 1958. Another significant event in Lynchburg last year was a homecoming of sorts. France-based Framatome, a designer and supplier of nuclear equipment, services and fuel, moved its North American headquarters from Charlotte, N.C., to Lynchburg. The company had a long history in Lynchburg before becoming part of French nuclear energy giant AREVA. Framatome has 14,000 employees worldwide; 2,300 are based in North America. Thirteen hundred are in Lynchburg. The Hill City also is home to BWX Technologies, a publicly traded nuclear energy company with 6,250 employees globally, including about 2,500 in the Lynchburg area. Nuclear energy is one of many industry clusters in the city. Other groups include wireless communications, electronic components, advertising, marketing and design, architecture, engineering and some areas of specialized manufacturing. For much of last year, the city’s economic development team has met with representatives of those clusters as well as educational institutions and other stakeholders to assess the city’s strengths and develop a plan to leverage them. “We’ve been able to get the business community around the table with each other, but also with the city,” Pedigo says, “to think about how they can work together.” Getting business leaders, educational institutions and the city to recognize and develop ways to work for their mutual benefit is at the heart of the plan. They’re developing a strategy for implementing the plan now, strengthening those industry clusters, connecting the city and its businesses with educational institutions, defining the roles of what they call anchor institutions — the biggest employers and other organizations with the power to help shape the city’s future. But the plan also recognizes the importance of quality of life. “We know that you have to be a place where people want to live and work and spend time,” Pedigo says. Pedigo’s consulting firm, Creative Class Group, was founded by Richard Florida, a University of Toronto professor best known for his 2002 best-selling book, “The Rise of the Creative Class.” In it, he touts the importance of creative people — knowledge workers and professionals in addition to people involved in the arts — as a fundamental economic force. Upshur and Pedigo believe that, with its improved downtown, five colleges, good broadband connections and a cost of living more than 13 percent lower than the national average, Lynchburg can attract more members of the creative class. While Lynchburg would love to land such a huge project, that’s not the city’s primary focus. If Lynchburg does right by its existing businesses, Upshur says, they’ll become its ambassadors, an extension of its economic development team. That’s one reason she’s focused on making sure established businesses have the city’s support and the well-trained workforce they need. Some local high school graduates can get free community college tuition from Beacon of Hope, a local nonprofit that aims to remove barriers to higher education. The nonprofit’s Stay Close, Go Far Promise Scholarship also offers tuition assistance to local colleges — and some schools match that assistance. For people who work for themselves, there’s training from a national program called Co.Starters for beginning and maintaining businesses. It’s part of what Upshur hopes aspiring entrepreneurs see as a nurturing environment for startups. While the returns may be longer in coming, the need to pay attention is immediate. With the changing nature of work, more workers are looking like entrepreneurs. They are freelancing or telecommuting, sometimes choosing a place to live and then looking for a way to make a living rather than living where someone offers a job. “If you leave entrepreneurship off the table,” Upshur says, “you’re going to be in trouble.” It’s part of a competition communities are in whether they realize it or not. Quality matters, but perception matters, too. Lynchburg’s next step is figuring out just what that story will be. Pedigo says that, probably in the next year, stakeholders will “engage in a very deliberate process” to define Lynchburg’s identity and to determine how it’s perceived by outsiders. Then they’ll try to figure out the best way to get Lynchburg’s story out into the world — and try to get everyone in the city the same story.